Chiaroscuro woodcut by Master ND of Bologna (Master NDB), 25.8 x 16.2 (Karpinski, Vienna). Three blocks. Bartsch, XII, 1811, 150, 16, as Anonymous, after Beccafumi. COLLECTIONS: Paris, Ea 26, p.47. Vienna, Vol. I.I, p.95. Heinecken, III, 1789, 604, as Ugo da Carpi, after Rosso. Karpinski, 1976, 23, 24, 27, no. 9, with ill., as Master ND of Bologna, after Rosso. 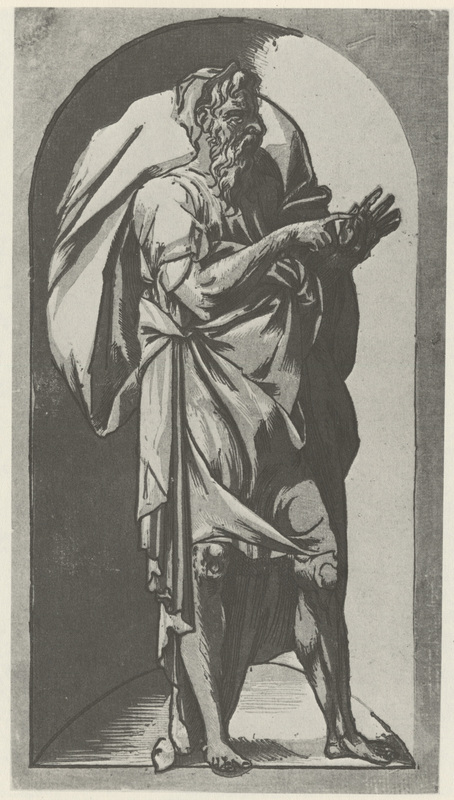 Karpinski compared this figure with Rosso’s Gods in Niches engraved by Caraglio. This comparison is not sufficiently close to support this attribution. The pose of the figure and the disposition of his drapery are too stiff for Rosso, and his head is too coarse a type. 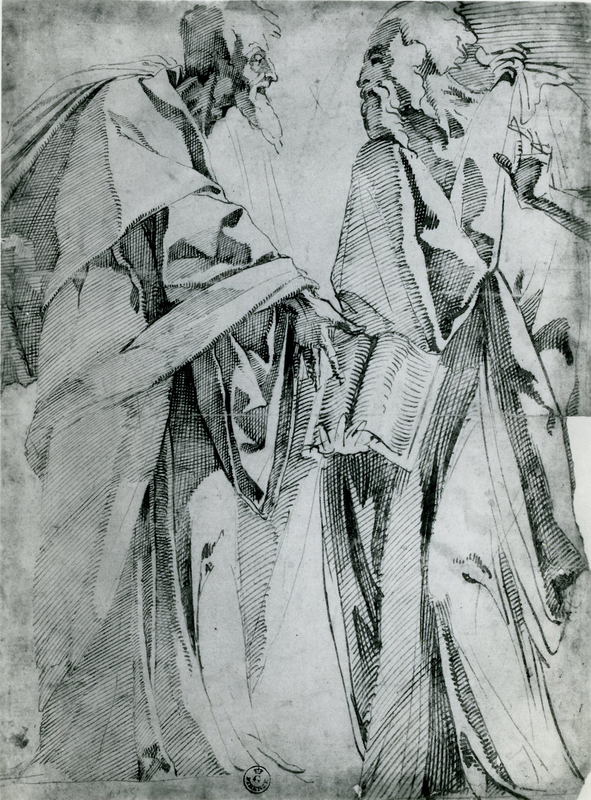 He should, to be by Rosso, look more like the figures in Rosso’s Disputation Between Two Old Men (Fig.D.2) or the Standing Apostle (Fig.D.36a) in the British Museum. The Philosopher in a Niche seems dependent on a model by an artist of the generation after Rosso.